The issue of paying yourself money from your business can be confusing. Technically, a Sole Trader cannot employ themselves. Money a sole trader takes out of the business for personal use is classified as “drawings” and is not considered wages for tax purposes. Drawings are not allowable deductions for the business. Transactions that you record using the account Drawings are not reported in Activity Statements that are lodged with the Australian Taxation Office. This is also the case for someone who has their business set up as a Partnership. At law, you cannot be an employee. If your business is set up as a Company, you can be an employee of the company. You can pay yourself wages and would therefore withhold PAYG withholding tax if your wages are above the tax free threshold. Unlike drawings, wages are allowable deductions for the business. Transactions that you record using your “Wages” accounts are also not reported in the “Goods & Services Tax” section of your Activity Statements – only the “PAYG tax withheld” section. 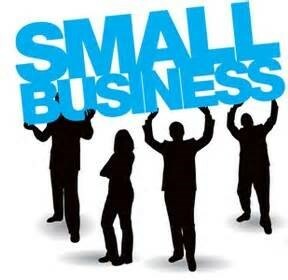 Are you a small business with employees? There are certain procedures and conditions an employer must have in place for their employees in Australia. Don’t be afraid to ask your employer for any of these things if they aren’t currently being provided – it may be the case that your employer didn’t know themselves. Payslips – must be provided to you within 1 working day of being paid, even if you are on leave. Holiday and personal leave balances – must be provided to you if you request it. Superannuation – has to be paid into your nominated super fund at least every 3 months. Deductions – if you are under 18 your employer cannot deduct money from your pay unless your parent/guardian has agreed in writing. Jury duty – your employer must give you leave to attend jury selection and jury duty (called community service leave). This includes casual employees. You must give your employer reasonable notice of the leave and, if they ask for it, evidence of the need to attend the community service. Payment Summaries – must be provided to you by 14th July, even if no tax was withheld from your pay. Fair work information statement – must be provided to you before, or as soon as possible after, you begin employment. Extra tax – if you want your employer to deduct extra PAYG withholding tax from your pay then you must both agree in writing. Tax File Number declaration form – must be provided to you when you begin employment, and your employer must submit the completed form to ATO within 14 days of your start date. These are just some of the rights you have as an employee, but there are a few more that are useful to know. These can be found on the Australian Government’s Fair Work website and the ATO website. Thinking of hiring an employee? Do you agree with this? I was watching a TV show recently and one of the panelists was using this argument to justify why some small business owners are paying their employees less than the minimum wage. You may have come across the big story that broke late last year about some 7-Eleven franchisees in Australia paying their employees well below the minimum rate (as well as other illegal practices). If you are thinking of hiring an employee for the first time, or if you are hiring your 2nd or 3rd employee, there are no doubt a myriad of things you need to work out first. As at the date of writing, the national minimum wage in Australia is $17.29 per hour and $656.90 per 38 hour week before tax. Casual employees covered by the national minimum wage also need to receive “casual loading” – an extra amount paid to compensate for lack of benefits such as holiday pay. These are the rates that apply to an employee not covered by a specific award or agreement. For information on specific Awards you can find all you need at the Fair Work Ombudsman website. These rates change all the time – when working with online payroll students I was constantly updating course materials to keep up with the changes. It’s great to check Seek.com to figure out the going rate for a particular job, or to ask fellow business owners for advice, but you still need to make sure that what you are going to offer your new employee is at least the minimum rate or higher. Are you thinking of taking on employees? Have you looked around the Fair Work Ombudsman website? The ATO has recently made some changes that might affect you. Have you hired a new employee recently? You’ll need to complete a Tax File Number Declaration form and send it in to the ATO within 14 days of the employee’s start date. If you are manually completing the form and posting it to the ATO, don’t forget to keep a copy for your own records and write the date posted on it, as the latest version of this form doesn’t include a copy for employers to keep. From September this year you won’t be able to get these forms from newsagencies anymore – the ATO is very much moving away from paper-based forms and encouraging business to embrace their online services. There are benefits to lodging forms online, so don’t be afraid to look into the ATO’s Business Portal or Standard Business Reporting (SBR).